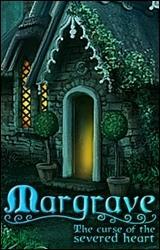 Eager to find out more about her parents, Edwina Margrave returns to the cottage where she discovered that they died. She is there to speak with the one person who might shed some light on the tragedy, the unpredictable landlady, Miss Thorn. When she arrives however, strange spirits and creatures abound, leading her to believe that Miss Thorn knows much more than she is willing to share. Follow Edwina on another eerie journey full of mystery and discovery deep within the English countryside. Search for answers to discover the truth about what happened to her parents and what Miss Thorn is hiding. Solve cryptic puzzles, enlist the aid of the spirit world, and evade the wrath of a disfigured beast. Find out why only she can end the curse of the Severed Heart. Introduction: Imagine a person in a story where his/her parents are killed in a mysterious way by unknown murders. That person chooses to find out who killed his/her parents and find himself in a long road of different mysteries, great danger, unknown objects, unwilling spirits, hidden objects and secrets, but all of these things can stop that person in a search for murders. He/ she use all the possibilities he/she can use and doesn’t let himself/herself to fall down in spite of everything. This sounds like a story which Agatha Christie would write but you don’t need to look for the books to enjoy in stories like this. The curse of the Severed Hearth gives you all of these things and more. Gameplay: This is a game about Edwina Margrave, whose parents were killed when she was just six years old. Her educated parents were searching for an artifact called the Severed Hearth. 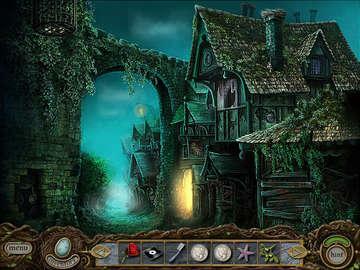 The game begins with Edwina driving through the dark woods to a village where her parents were killed. She comes to a village, setting in a cottage where beside her, only Miss Torn lived. As soon as she settles she finds out that the place and the person are hiding something. The way you found this is that you see animals (their ghosts), so dead animals which are trying to get you to help them in freeing them by helping them remember their names. 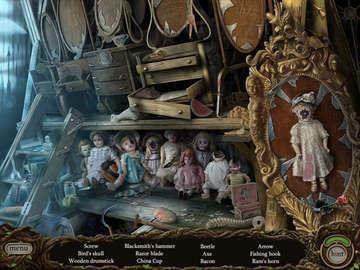 So, this urges you to test your nerves in this supernatural adventure mystery hidden object game. 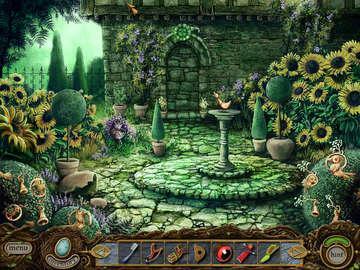 You’ll play the game with the help of mouse and cursor which will thoroughly guide you throughout the game. As it’s a game about a mystery, when you start it you’ll be welcomed with singing and it’s just right for that type of the game. If you are into puzzle this is just for you, because the scenes are perfectly developed and you won’t be bored or disappointed in any moment of the game. So, what you have to do is to search the village and its surroundings, talk to the people and to try as much as you can about your parents. And as true detective you’ll write down everything you find out. As this is hidden object game, one of the jobs is that you’ll have to find hidden objects, but prepare yourself because this won’t be that easy. Hems are very well hidden, blending it with background so you’ll have to watch for them really carefully, stare at every little thing to find what you are looking for. However there is hint buttons which will be the savior in times when you can’t figure out that flute you’re looking for is actually a lamp. You’ll get yourself into this game so deep that in one minute you’ll find yourself in a situation where you won’t play the actual game but you’ll explore it and try to find as many things as you can in the surroundings and try to make as many sketches about unusual symbols as you can, try to discover more things about the mysteries. Another very important, amusing and intriguing thing is the Dream Card mini game. This will be played when Edwina gets in a contact with animal spirits where she’ll use the cards to divine the animal’s former names. You’ll lay out four cards on the screen and the idea is to recreate these symbols by lining up the half-symbols found on the cards or so that the shapes on the sides form the figures shown at the top of the screen. This is very unique sort of playing cards with the touch of tarot and mythology. As Edwina progresses she’ll find out that she needs to unlock Shadow locks in order to get to the powerful relic, where you’ll need to find a recipe and obtain its ingredients using various methods from all over the village. When you find them you’ll brew them, but be careful, because there is a beast following you and it’s not very clear what is that it wants from you. All he puzzles you encounter will range from simple to very difficult, including jigsaw, pattern-matching, logic-puzzles, mini card games and so on. Graphics and sound: The voice sounds are perfect, urging you just to listen to that wonderful voice and beautiful music. All the effects are very appalling; visually all the colors are perfect which makes you to play longer without stopping. Characters are very photographic and vice gives that something which makes the game more mysterious and thrilling with captivating environment and all the tasks which make you to explore more and more. This is a type of game that everyone what to play; if you like this type. This is the perfect game which will intrigue you so much that after finishing it you’ll be sorry it didn’t last longer.